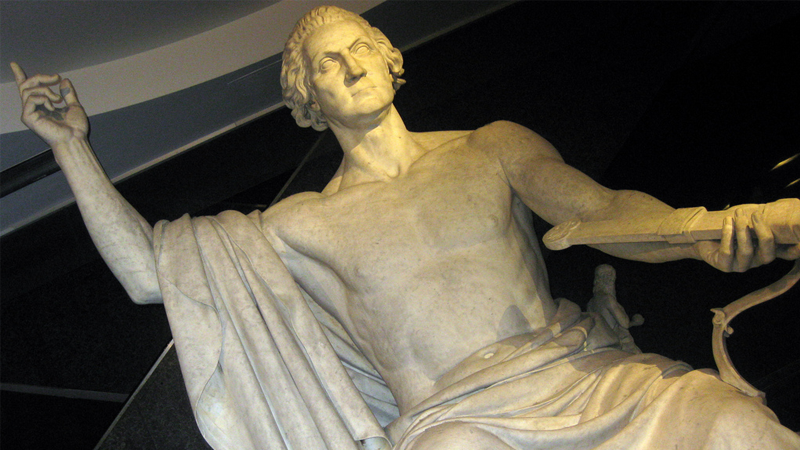 Horatio Greenough’s ‘Enthroned Washington’ sculpture, 1840. Photo taken by Wally Gobetz, licensed through Creative Commons. Is America ready for a gritty, extreme movie about the War of Independence? Especially one directed by Zack Snyder? As a Brit I might be slightly biased in my opinion, but I kind of dread the idea of watching a shirtless George Washington kicking Johann Rall off the side of a cliff in slow-motion, presumably while the sun’s light is blotted out by Eagle tears or something. Because freedom. But goddammit, I want him to try. Go for it, Zack. Give us George Washington: The 300-ening. This madness has to be committed to screen.